The words “redesign” and “replatforming” are enough to make most ecommerce managers and developers break out in a cold sweat. The list of risks that comes with a big change is huge. Everything from missed deadlines to design and backend errors have the potential to seriously dent a store’s bottom line. But what if you’re going about ecommerce development in the wrong way? If you’re like most people responsible for looking after an ecommerce site, the process is familiar. You make small tweaks in between bigger site-wide updates every few years. In this article, we want to look at five of the biggest ecommerce development mistakes involved in the ecommerce development process. We also want to explain why the “classic” approach described above isn’t the best option. Are you approaching ecommerce development in the wrong way? The traditional approach to ecommerce development usually involves a few well-known steps. Most developers and managers monitor competitors to stay ahead of industry trends and exciting features. This research usually forms the basis of most of the changes made in the redesign process. Over a longer period (months to years) they might also conduct a number of audits to ensure that user experience (UX), security, development code etc. are meeting industry benchmarks. Put together, this understanding will likely feed into a handful of direct changes or a number of split-tests with a view to improving conversion rates. Every several years, a bigger redesign or even replatforming, will take place. This approach has a number of significant drawbacks. We’ll cover the five most common below, so you’ve got an idea of what to look out for. We’ll then wrap up by outlining how you can avoid them altogether. What are the most common mistakes Ecommerce Managers make on ecommerce development? Ecommerce development mistake #1: Limiting #ecommerce #development to big redesigns! Most ecommerce managers don’t want to make significant changes to their ecommerce layout on a regular basis. They are reluctant to alter their design and branding in a big way because they rightly think that users have grown accustomed to the current look-and-feel. Because of this, the upshot of a change is a decrease in buying activity while customers acclimatize to a new design or abandon the store entirely. This causes managers to hold off site-wide redesigns, opting instead for a complete overhaul every few years, interspersed with lots of minor changes. But why is this such a bad thing? First off, undertaking a major ecommerce redesign process every few years will inevitably mean that your site becomes old-fashioned, out of sync with the kind of responsive designs and streamlined features that visitors expect. Second, numerous case-studies have shown that making big changes can negatively affect revenue. But there’s a caveat. This is only likely to happen when changes aren’t backed up by solid results from split-tests. For every cautionary tale about lost traffic, rankings and buying activity, there’s also an alternate story about a redesign that has boosted conversion rates. The difficulty is that it’s not usually viable to split-test a completely new template in one go, which makes it much more likely that one-off redesigns are going to throw your site into the “cautionary tale” camp. So what’s needed is an approach that implements larger alterations on a regular short-term basis. On the one hand, you’ll overcome the issue of lost revenue caused by a major site change because your customers will become used to a changing design. You’ll also be able to thoroughly test alternatives. On the other, you’ll be in a position to immediately take advantage of new features, functionalities and design elements. This is exactly the approach that Amazon takes. One company, Techstar, runs over 2000 split-tests a year. And we’re not just talking about changing the color of the “Buy Now” button. These are big, site-wide changes. This are changes uploaded and tested to Fabletisc product page (tests of product pages urgency). Testing is very crucial regarding ecommerce optimization to determine which version works the best. We’ll cover this approach in a little more detail in a moment, but first let’s look at mistake number two. Ecommerce development mistake #2: Combining #replatforming and redesign at the same time! Replatforming is a general term that describes a change of ecommerce platform, such as from Shopify to Magento. Most ecommerce managers are motivated to change platform because their current functionality is insufficient, usually as a result of increasing traffic and the need for large, feature-rich product catalogs. If this is true of your store, one of the biggest mistakes you can make is to plan a replatforming and a redesign at the same time. At Growcode, we don’t understand why this common practice isn’t avoided like the plague. 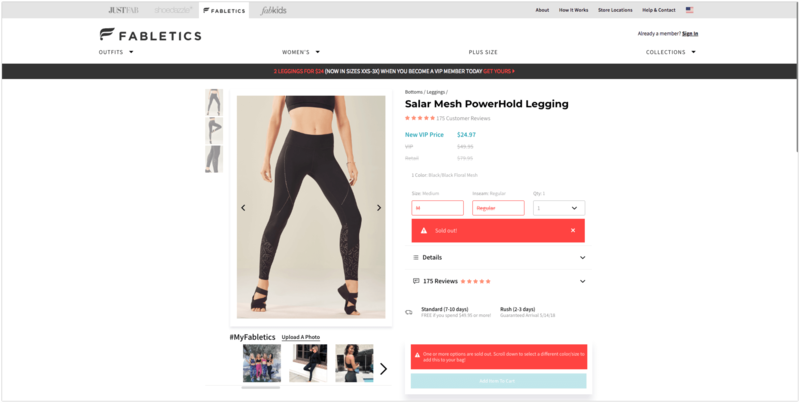 Ecommerce managers already have enough ecommerce challenges and make ecommerce development mistakes, so why add another to the list? By lumping both tasks together, you’ll be creating a challenge for both your customer-base and your tech team. Your site’s visitors will have to learn how to navigate a new design, while your tech and support team will be busy getting to grips with a completely alien backend (not to mention bugs that will pop-up here and there). Not only is there a significant chance of missed deadlines, but you’ll be loaded with two sets of problems completely unnecessarily. The upshot will be less time for troubleshooting, testing and adequate familiarisation with new functionalities. Whilst a full-site migration often can’t be avoided, it’s important to make sure that all design elements are taken care of prior to a migration. If you’re redesigning on a much more gradual long-term basis, then this shouldn’t be a problem. When it comes to full-scale migration, the only issue faced by your design team will be to make sure that everything runs smoothly just as it previously had. Ecommerce development mistake #3: Lack of continuous #website evaluation and evolution! Ok, so we’ve already pressed the importance of continuous website evolution as opposed to one-off, complete makeovers. Taking this approach will mitigate the effects of confused visitors, better distribute resources, and lead to more powerful improvements on a much more regular basis. But it’s important to be clear about what exactly continuous evaluation and evolution involve. It’s easy to fall into the trap of implementing small tweaks and changes from time to time or focusing exclusively on irregular UX audits. As with big one-off redesigns every few years, your site will slowly become outdated. “Ecommerce optimization” refers to a process that occupies a middle-ground between these two extremes. It describes an approach that’s based on regular site-wide testing and updating of features and design across your entire site, and encompasses both desktop and mobile conversion optimization. If you take this approach, regularly split-testing page elements and new features and implementing changes accordingly, you will be able to consistently improve your site (and for ex. improve mobile checkout) without having to undertake major redesigns. In fact, you will actually find that revenue is more positively impacted when compared with alternatives. You’ll be able to drive powerful, constant change. Use data to pinpoint “leaky” parts of your site. Develop multiple ideas for change. If you’re running a seven or eight-figure online store, the process can be quite resource-intensive. Fortunately, there are outsourcing alternatives. At Growcode (shameless plug), we’ve found that it usually takes five to six dedicated people to run an effective ecommerce optimization strategy (our ecommerce optimization checklist can help in this process). That is why we believe that instead of looking for top-notch talent to grow the team in-house, it’s better for small and medium-sized retailers to hand the whole task over to a capable partner. Ecommerce development mistake #4: Focusing on the wrong metrics! One of the big ecommerce development mistakes we see time and again is the tendency for ecommerce managers to over-focus on ecommerce conversion optimization. Of course, ecommerce conversion rates are vital, and focusing on certain areas (like optimizing checkout funnel) can cause significant increases in sales. But it shouldn’t cause you to sacrifice other equally important metrics like average-order-value and loyalty (a measure of how often customers are returning). When you’re implementing changes to your online store, it’s important to take a broad view when it comes to metrics. Working with hundreds of ecommerce stores, we’ve found that tunnel-vision when it comes to metrics is one of the biggest obstacles to increasing revenue. 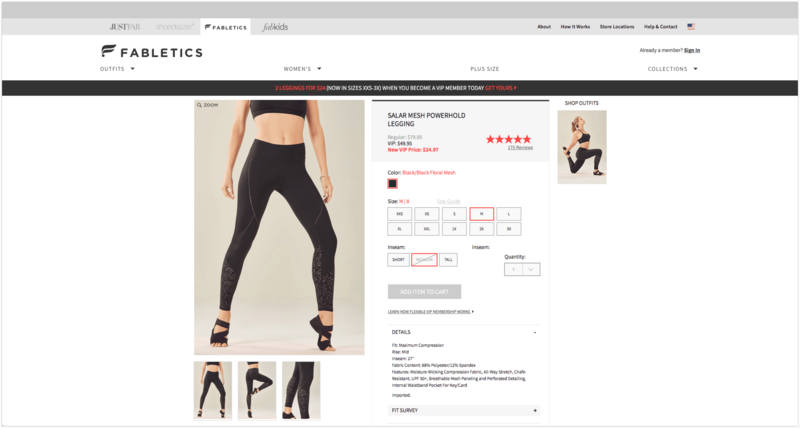 Average-order-value encompasses on-page elements that encourage customers to add more items to their cart, click-through to similar products (or products based on purchase history) and that prompt buyers to take advantage of product specific offers, like “3 for 2” or “10% of all orders over $50” etc. Loyalty is about the parts of your site that encourage customers to return to your site. You might indicate that product offers change with time, that new additional add-ons are often added or that customers can sign up to receive email offers about the of products they’re interested in (page-specific opt-ins). The bottom line is that you need to focus on a variety of metrics when evaluating the success (or failure) of a design change. And it’s not just about ensuring improvements. Losing track of other metrics can actually cause overall damage. We’ve seen a number of cases where conversions have increased but average order values have actually gone down. The absolute last thing you need as an ecommerce manager is a situation where your team is spending the same amount of time (or more) processing orders for a lower return. Or, even worse, one where you have dramatically boosted conversion rate but sacrificed order value and recency in the process, such that your total revenue actually diminishes. Ecommerce development mistake #5: Forgetting about split-testing! Once you’ve come up with an idea, how do you know if it’s any good? It baffles us (and we do mean baffles us) when ecommerce stores don’t have the mindset to rigorously test proposed changes. 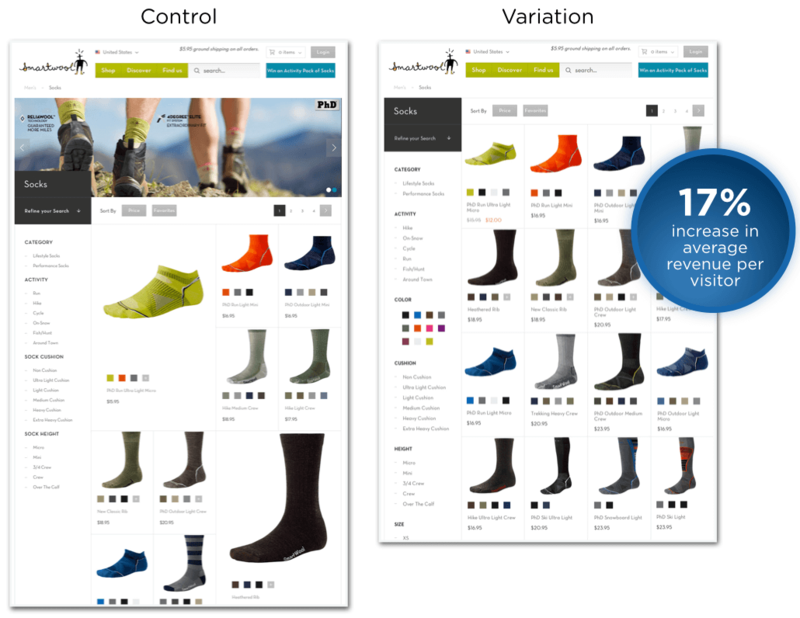 As somebody responsible for optimizing an ecommerce store, one of the best things you can do is fall in love with A/B and multivariate tests (tests that include more than two alternatives as in the screenshot below). They’re the only way to really know what works and what doesn’t. As the example above illustrates, you should also test bigger changes in the design of particular page templates. Source. If you implement changes without any clear testing process, you will see growth in certain areas. But this will often be mitigated by the changes that you get wrong. You’ll often find that even the positive changes could have been more effective had you split-tested the changes that cause a downturn in revenue. Consistently split-testing can be tough. It’s not always easy to establish the infrastructure and processes required to carry out split tests at scale over the long-term. But I’ll say it again: it’s the only way you’ll know what works and what doesn’t. Ok, so we’ve covered the main pitfalls you need to be aware of. But how do you go about developing a solution that ensures you won’t have to worry about any of these issues again? The answer is actually relatively simple. If you look at the big ecommerce stores, you’ll find that they tend to have one thing in common. It’s very rare for them to implement huge site redesigns and replatforming every few years. Instead, they constantly implement tests and changes. And these aren’t small changes either. They cover all aspects of a site’s design and performance, all of which are tied to key metrics of revenue, conversion rate, recency and customer loyalty. They have dedicated teams that are responsible for keeping up with industry trends and technology, generating ideas and testing them over numerous iterations. The result is that they’re able to consistently and immediately improve parts of their store whilst also avoiding the issues that come hand-in-hand with large, site-wide changes. The classic approach to ecommerce development is done. Get our latest ebook on ecommerce optimization if you don’t want to be left behind.